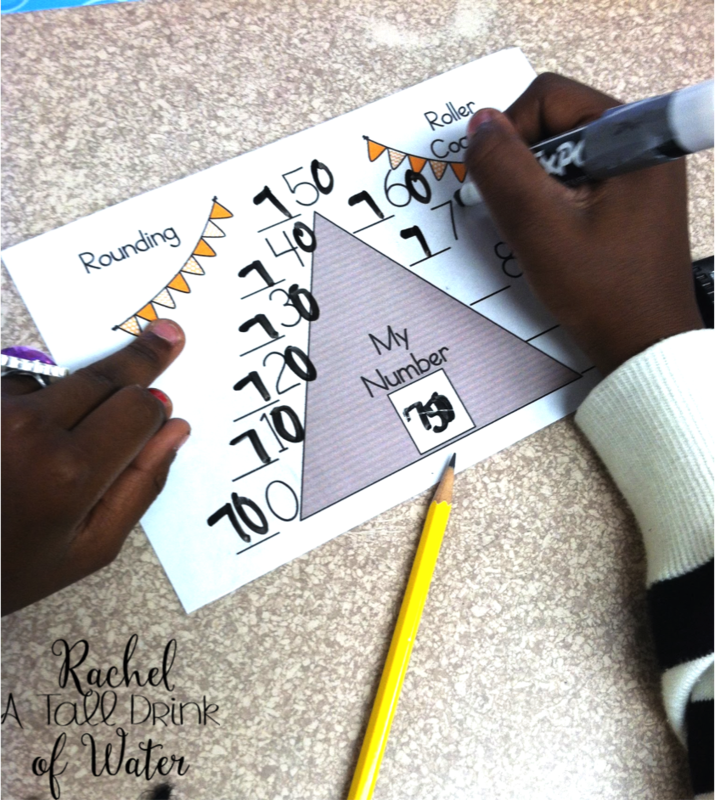 So we have been plugging away at place value and last week we tackled ROUNDING! Is it just my students, or does is rounding sometimes hard for kids to grasp? but this is usually the first strategy I teach. It starts with a story, because who doesn't love a story! I tell them that numbers don't like to just hang out on a line. They actually LOVE to ride roller coasters! 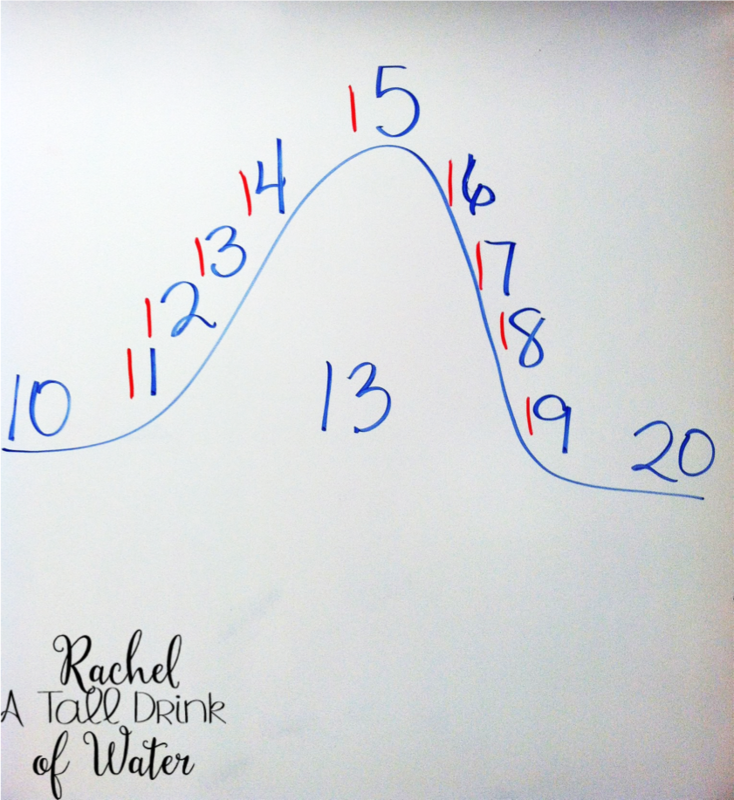 I draw the number roller coaster on the board. Then of course, the story has a plot twist and the roller coaster loses electricity!! I love when I can squeeze one in! We discuss about how the numbers 1-4 would fall back to the starting point and numbers 6-9 would fall forward to the next 10/100/1000....you get the idea! Then we talk about the number 5. Since it's half way in the middle....it get's to lean forward and go down the roller coaster! We usually hold our hands in the air and pretend to ride the coaster! 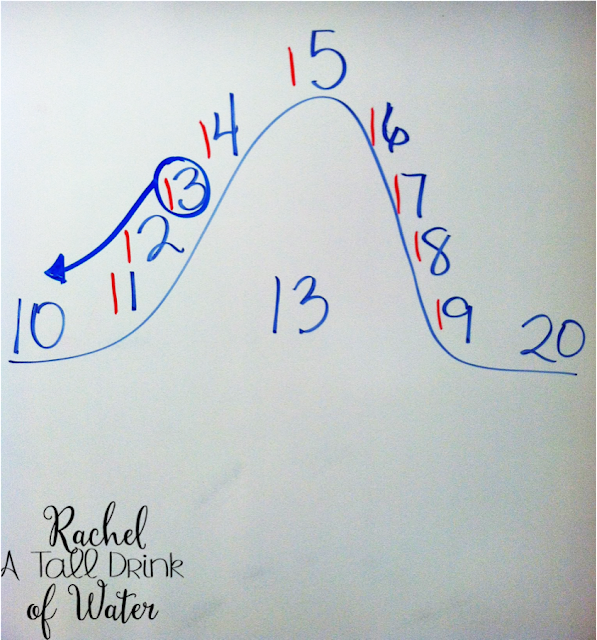 I made rounding roller coasters for the students to use! I laminated them so students can use dry erase markers on it. As you can see, my little sweeties was rounding to the 100's place. Still works! 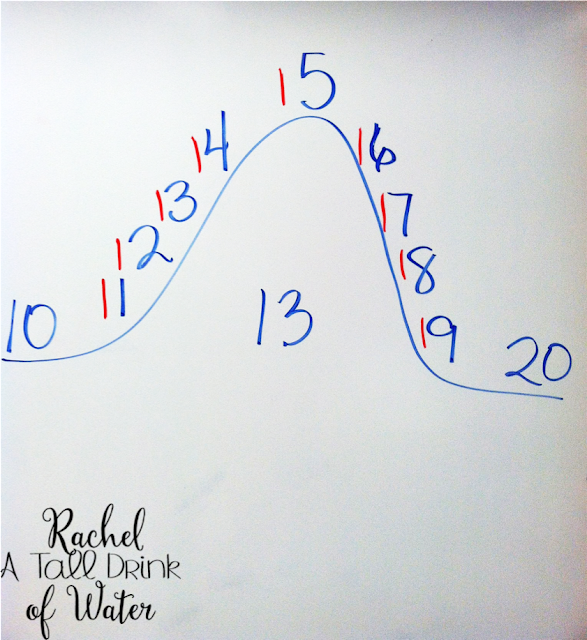 Here's the graphic organizer for you to enjoy in my TpT store! 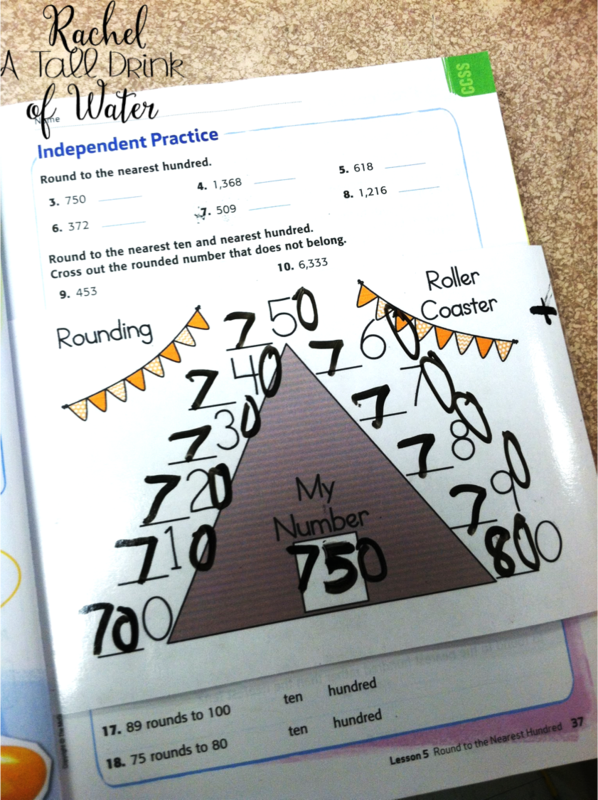 It also includes a couple of worksheets to practice rounding! My kiddos have finally grasped the concept of rounding with this technique! 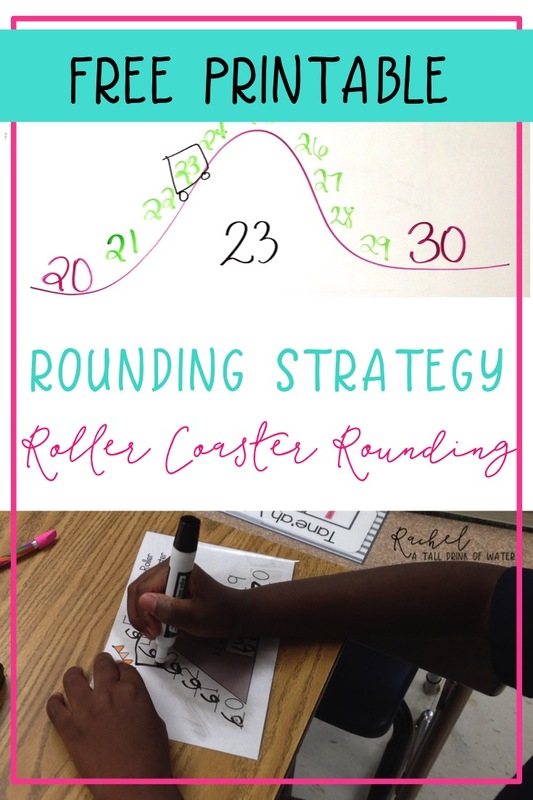 What rounding strategies do you use? 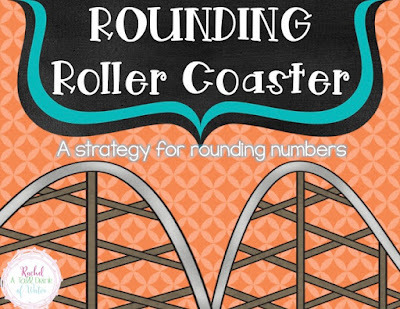 I just downloaded the Rounding Roller Coaster and left feedback - what a great resource! I'm headed to copy and laminate now while my kids are in science :) I'm also your newest TPT follower! I love this idea! I downloaded it, gave feedback, and am following your store. :) Thank you!